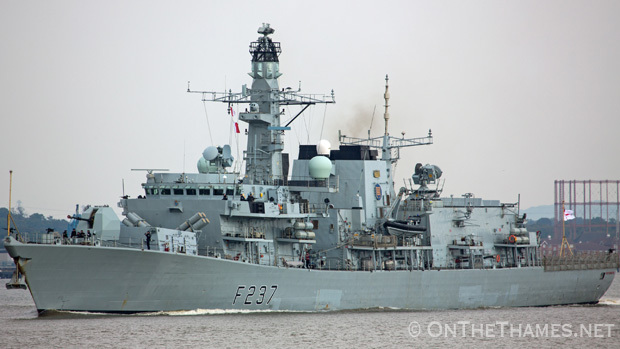 The Royal Navy frigate HMS WESTMINSTER arrived in London just after lunchtime today. 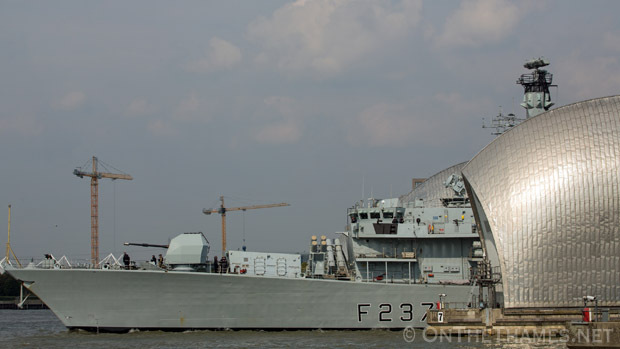 The Type-23 vessel came up the Thames on a sunny September day and entered West India Dock, where she will remain until next Monday. 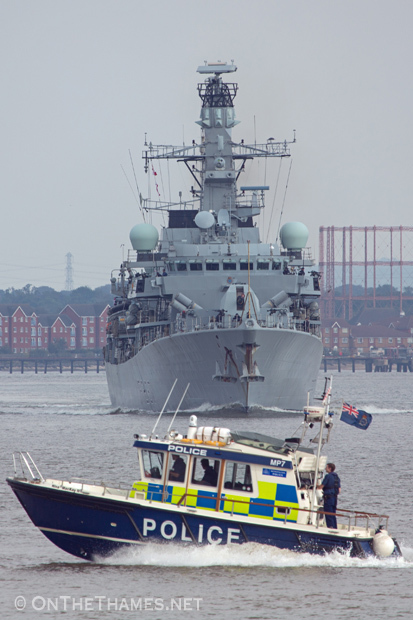 She was accompanied on her inbound journey by Svitzers Brunel and Cecilia and the Met Police's Nina Mackay II. 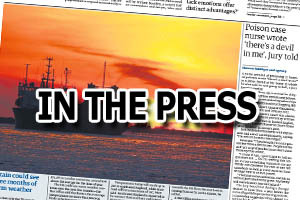 While in London, the ship will host visits from the public (tickets available here) and members of the crew will take part in a Freedom of the City of Westminster parade on Sunday morning. 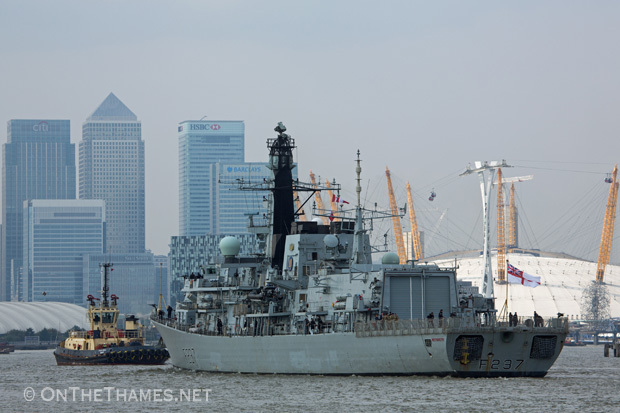 Westminster's sister ship HMS ARGYLL is one of the vessels that features in the official On The Thames 2015 calendar.